David Brooks was England’s main man as they won the Toulon Tournament last summer. Now the Sheffield United ace insists he wants to star for Ryan Giggs’ Wales. The talented Brooks has been at the centre of a tug of war between the two countries, but Wales have won the race for his services. Brooks’ story is an intriguing one. In May 2017 he was named in Wales’ squad for the Under-20 competition in Toulon, only to withdraw and be included in England’s travelling party just 11 minutes later. 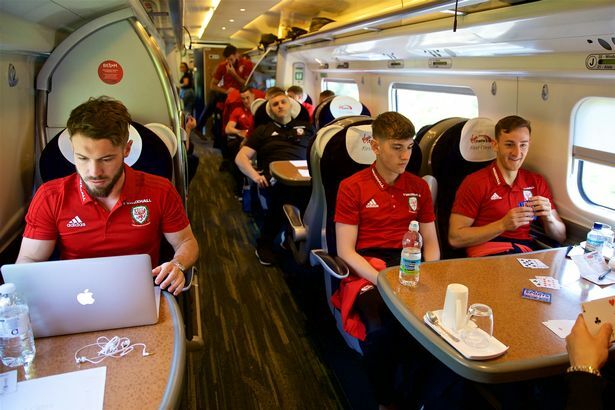 He went on to be named player of the tournament as England lifted the trophy for the second straight year, not that it stopped him from switching back to Wales. Brooks was born in Warrington, but insisted: "Going away with England was a good stepping stone for my career, but I always wanted to play for Wales and thankfully I’ve got the opportunity. "I had expressed my interest in playing for Wales, but it hadn’t come around at the time and when England offered for me to go to Toulon, I accepted. "I’d had no acknowledgement of being in the Wales squad and when it came out, I’d already made plans to go away with England. It was a bit of a misunderstanding. Brooks qualifies for Wales through his Llangollen-born mother. The 20-year-old could still switch back to England as he has only played in friendly matches for the Dragons against France and Panama, when he was man of the match. But that won’t be happening and after brushing off a worrying bout of glandular fever which hit his form at club level, Manchester United fan Brooks is determined to impress Giggs. "I'm committed to Wales. I don’t have any interest in going back to England. I wouldn't be travelling across the world if I didn't want to,” he said. "My mum knew before me I had been called up by Wales and she was already crying on the phone when I phoned, bless her. She was delighted and it was obviously a big thing for the whole family. "I’ve been in a few squads and this is the first time I’ve been away with Giggsy. He was part of the team I supported and looked up to growing up. Brooks’ talent means Wales see him as a key part of their future. He is sure to play some part in his country’s friendly clash with Mexico in Pasadena in the early hours of Tuesday after coming through a worrying bout of illness. It saw him miss Giggs’ first games in charge at the China Cup in March. "The glandular fever hit me quite hard. I was in hospital for a short period,” Brooks said. "I still get tired and as player, you want to be involved, but sometimes you can’t do it for your own health. "It came at a bad time as I was just nailing down a spot in the Sheffield United team. But I’m getting there now and all the lads are welcoming here so I just have to get down to playing my football and show what I can do.